It’s no secret that we love the board game Settlers of Catan, and for the last several years it has taken our family gatherings by storm. 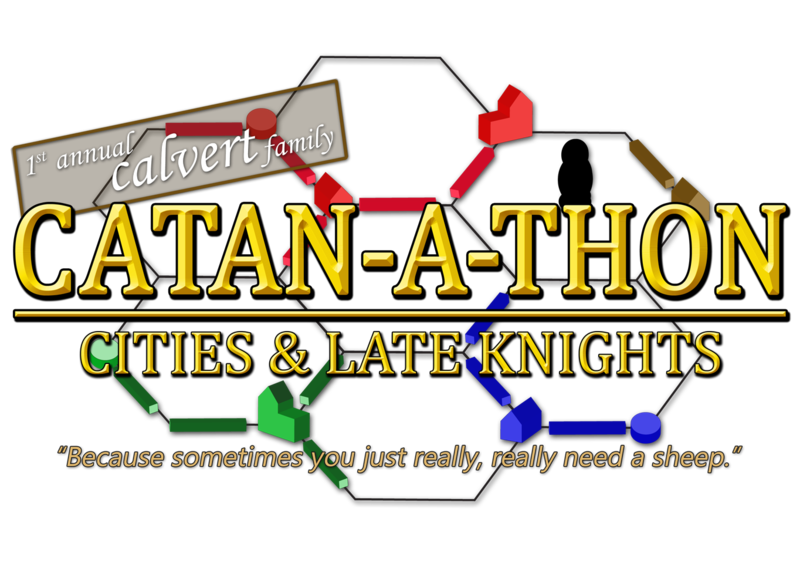 So this year we decided to commemorate the addictive nature of this game by having an official Calvert family Catan-A-Thon! Hopefully this t-shirt will give him a better chance at winning most games overall at the Catan-A-Thon! But even if he loses pitifully, he’ll look good either way. Rock On-A-Thon!